Dr. Weeks’ Comment: Hong Kong residents are staring up against electromagnetic pollution. Dozens of residents have called on the government to tighten regulations and standards for electromagnetic radiation, claiming to be adversely affected by such radiation from rooftop telecommunications transmitters. Pastor Mike Liu was shocked when his younger sister was diagnosed with a rare brain tumour at the age of 30 in 2012. She died just a year later as the cancer was aggressive. He was dealt two furtherblows – his father was diagnosed and later died of oesophageal cancer in 2015, and his mother was diagnosed with early stage lung cancer a year later. Liu, 38, claimed this was no coincidence. He blamed it on transmitters, which reside on the roof of the family home, a Tenants Purchase Scheme estate in Sheung Shui. Half of the 24 sets installed at the estate are above their unit on the 27th floor, the top level. “The government says no studies have been able to prove there is any link to human health but no one has been able to prove there is no effect either,” Liu said. He is not alone in his views. Democratic Party lawmaker Andrew Wan Siu-kin, who is assisting Liu and 31 other residents concerned or affected by rooftop base stations, said the government was “gambling with lives” by doing nothing to address such concerns. Some residents complain of chronic headaches and poor sleep, while others highlight weaker immune systems and irregular blood pressure after the stations were installed. Wan believed the government was adopting too loose a standard for a city with such a high urban density. Such relaxed rules also made it possible for operators and occupants to install systems inside homes and violate leasing and building regulations, he said. The authorities currently adopt radiation standards laid out by the International Commission on Non-Ionising Radiation Protection (ICNIRP). These are far less strict than those of several European countries and even the mainland, Wan added. But he said the government needed to consider that large clusters of transmitters would have a much higher impact on residents than just one or two. “We hope the government faces the problem square [in the face],” Wan said. The Office of the Communications Authority said it would continue to add more base stations on top of the current 47,000, as local demand for mobile communications continues to grow. The International Agency for Research on Cancer, under the Who, classifies such electromagnetic fields under “group 2B”, which means they are “possibly carcinogenic to humans”. However, there has been no conclusive evidence to date of any related adverse health effects from EM field exposure. 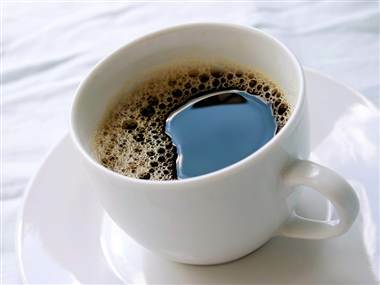 Other group 2B carcinogens include coffee and pickled vegetables. Dr Mamie Lau May-ming, a former principal environmental protection officer with the government and a radioactive health expert, believed it was “definitely possible” for electromagnetic waves to affect human health. Lau, director of non-profit group RadHealth, noted the health impact or lack of impact from EM exposure depended on how well an individual’s body repaired itself. Happy Birthday, Rick and Nick!